Long Jack Tjakamarra was one of the painters to paint the historic mural at Papunya primary school. This mural was the first spark of the Western Desert art movement. In the early part of his career, Long Jack Phillipus painted on small bits of board. He went on to become one of the most vital figures of the aboriginal art movement. Many of his early works are ritual and contain secret imagery meant only for the eyes of initiated men. His later works are on Canvass and vary from masterpieces down to simplistic. 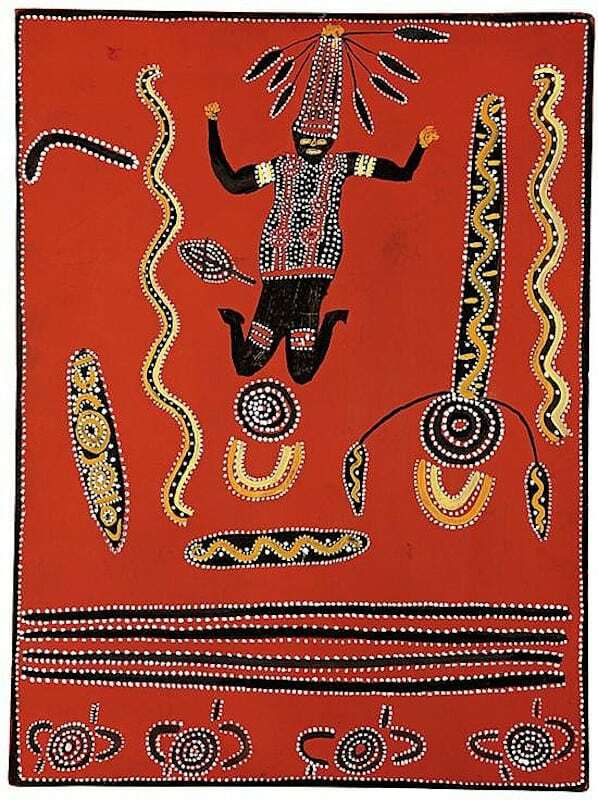 The aim of this article is to assist readers in identifying if their Aboriginal painting is by Long Jack Tjakamarra. It compares examples of his work. It also gives some background to the life of this fascinating artist. 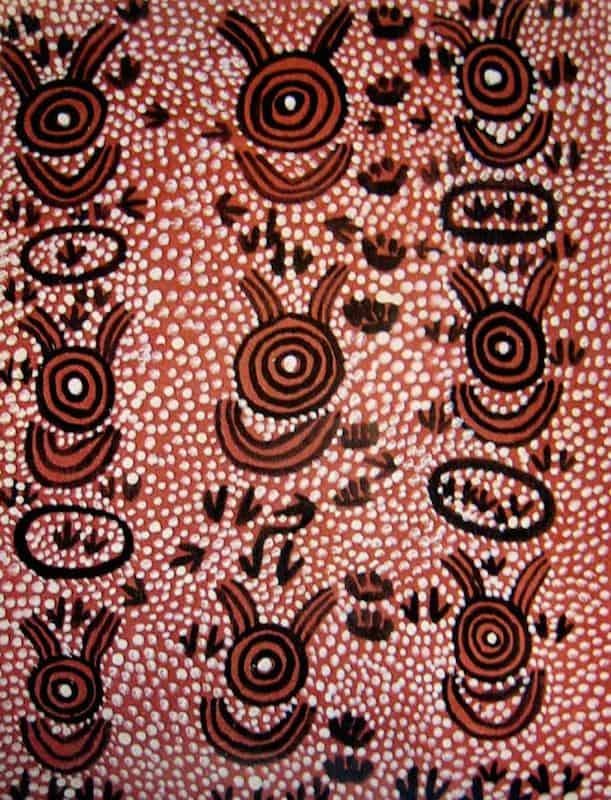 If you have a Long Jack Tjakamarra Aboriginal painting to sell please contact me. If you want to know what your Long Jack Tjakamarra painting is worth please feel free to send me a Jpeg. I would love to see it. Long Jack Tjakamarra was born around 1932 at the important Rain Dreaming site of Kalipinypa. He grew up in the bush west of Pilininyanu until his teenage years when his family settled in Haasts Bluff. At Haasts bluff he worked as a Stockman until in 1959. In 1960 he moved to Papunya and worked as a councilor like Johnny Warankula and Mick Tjapaltjarri and as a school yardman with Uta Uta and Anatjari. Long Jack Tjakamarra participated in the discussions amongst the senior lawmen to decide on a mural design. as a yardman, he prepared the walls with cement rendering and coats of white primer. He also assisted Kaapa and Billy Stockman in the mural painting itself. This mural was the spark that started the Western Desert Aboriginal art movement. After the success of the mural Bardon decide to start a men’s painting group. Long Jack Tjakamarra was a part of this enthusiastic group that began to paint regularly at the back of the school art room. His early painting style had a symmetrical balance and often stylised figurative elements. He used traditional earth colours and leaned towards a softer, slightly more decorative approach. 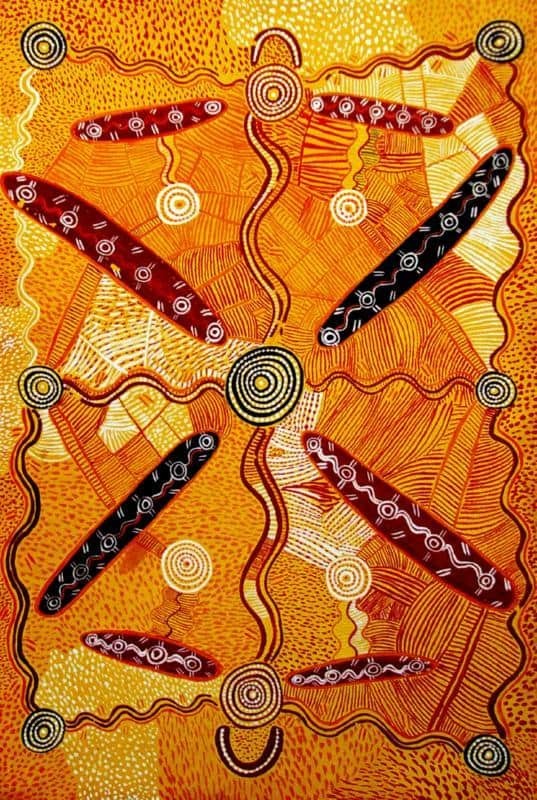 Aboriginal art changed. Sacred references were now concealed under a veil of dots. Many of the important dreamings were no longer depicted. 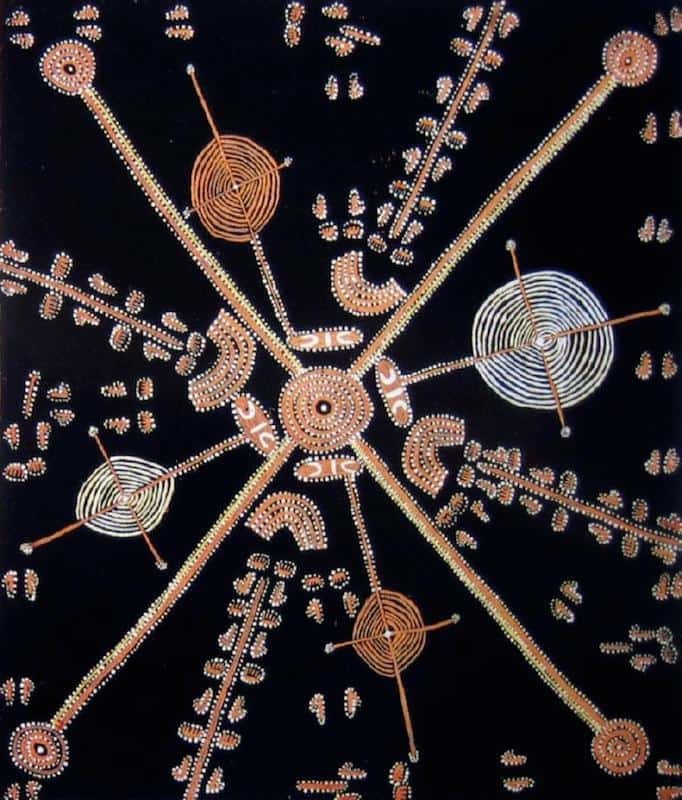 Aboriginal dot art was born. 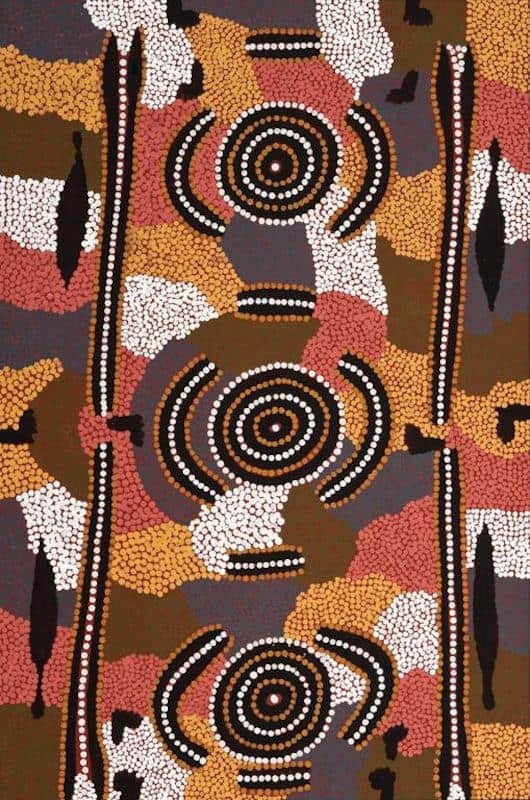 Despite this LongJack Tjakamarra produced some great works between 1975 and 1980. He had good access to materials and produced some fantastic large works on canvass. Long Jack Tjakamarra continued to paint into the late 1990’s. Many of these late paintings seem to be commercial and have little soul in them. His art continued to provide his family with a steady income until his death.